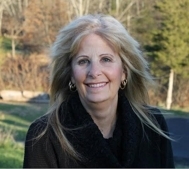 Please Vote Carole Provenzale of Feng Shui Long Island "Best of L.I." for 2012! Carole Provenzale Certified Feng Shui Consultant of LI - Farmingdale NY has been nominated again for "Best of L.I. 2012" by the Long Island Press! Carole Provenzale Certified Feng Shui Consultant passed away in May of 2010. The year she passed, Laura Cerrano Feng Shui NY consultant tired to honor her by getting her recognized for being "Best of L.I. 2011." She almost made it and was able to have Carole Provenzale nominated, which was still very excellent. scroll down to were it says, "holisitic Wellness"
select, "Carole Provenzale Certified Feng Shui Consultant of LI - Farmingdale"
•No more than ten percent of total votes per category from the same IP address will be counted in the final audit. Any votes above and beyond will be discarded during the final vote tally. The official Voting Period begins October 1, 2011 and ends December 15, 2011 at 11:59 p.m.